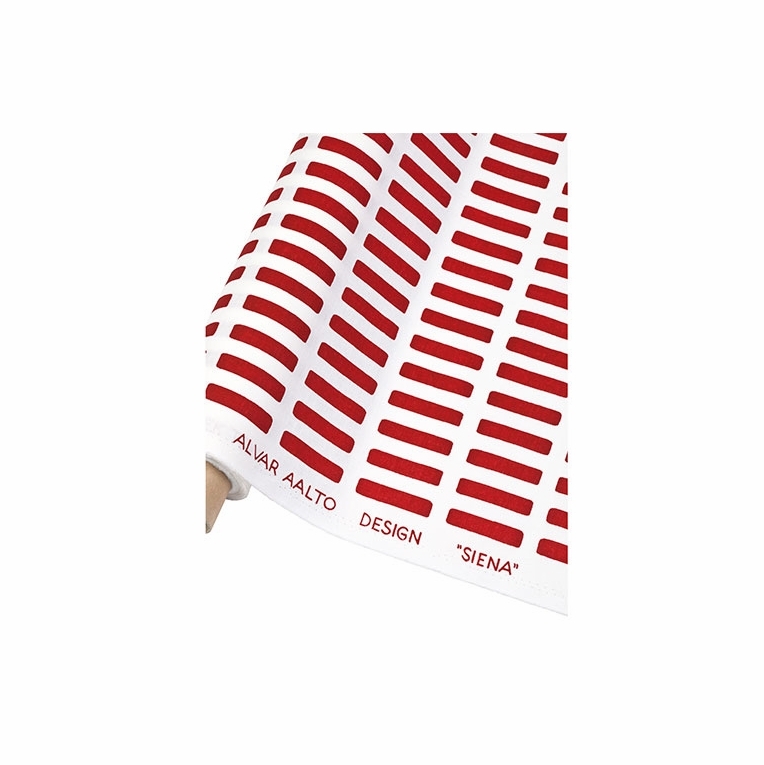 Alvar Aalto's 1954 pattern Siena pattern looks as striking as ever displayed on the Artek Siena White/Red Cotton Fabric. Part of the Artek abc Collection, this print is meant to inspire the "alphabet of living" in your everyday life. The simple yet bold pattern on the 100% cotton can be incorporated numerous ways throughout your home for the perfect balance of structure and softness. Named after the city where Alvar and Aino Aalto honeymooned, the Artek Siena White/Red Cotton Fabric will make you fall in love with your home all over again. Enter desired quantity of yards in the 'Quantity' box. If you order multiple yards, they will remain intact.